Giovanni Blason and his wife Valentina are young producers who continuously surprise with the price-to-quality ratio of their wines, earning them tons of praise in Gambero Rosso and beyond. They are in the Isonzo region of Northern Italy, right up against the Slovenian border. 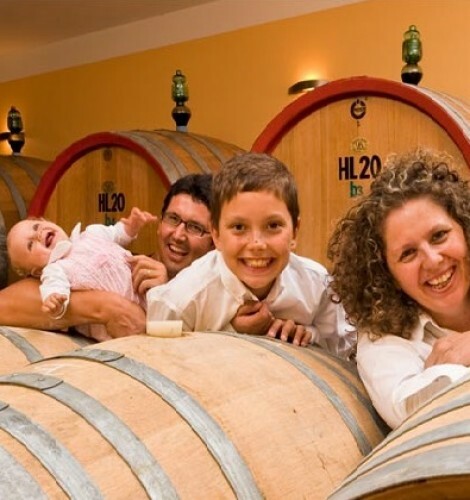 Their small winery on the extreme eastern edge of Italy produces about 3,000 cases annually and Valentina and Giovanni, with the help of his consulting enologist Andrea Rossi, are producing wines of outstanding quality for bargain prices. The Blason Estate extends over 45 hectares, of which 18 are given to vineyards. The vineyards are managed in a way that makes the most of the mild climate and the rough, stony soil and the result is wines which are fruity, mineral and aromatic. The techniques used in cultivating the vines respect the principles of sustainable agriculture, where man and nature complement each other.